The Cub Sweatshirt when worn with the group scarf and woggle completes the official uniform. Made from polycotton with a slightly scooped back and vents in the side seams at the hem. 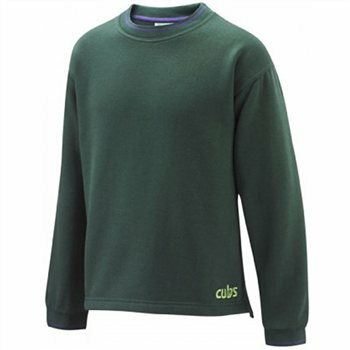 The Cub jumper is fully washable and great for keeping the children warm in the colder conditions.